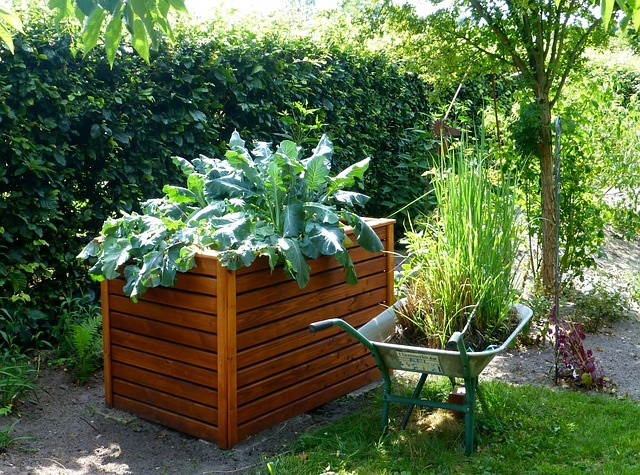 Growing your own healthy foods yourself could be easy and fun when you use raised beds. You will love growing food in a raised garden for many reasons. Raised bed gardens can make your gardening experience a lot easier and more enjoyable than what it usually is. It allows you to set up your beds in a way to suit your available space, make your garden attractive and also easier on your back. Furthermore, it also lets you build it in a way that yields to more harvest and success. You can build your own beds with wood or bricks. 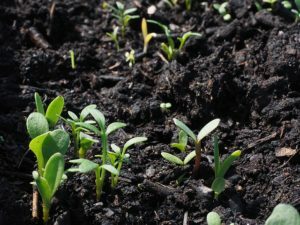 Just make sure to use high-quality compost soil and fresh seeds. 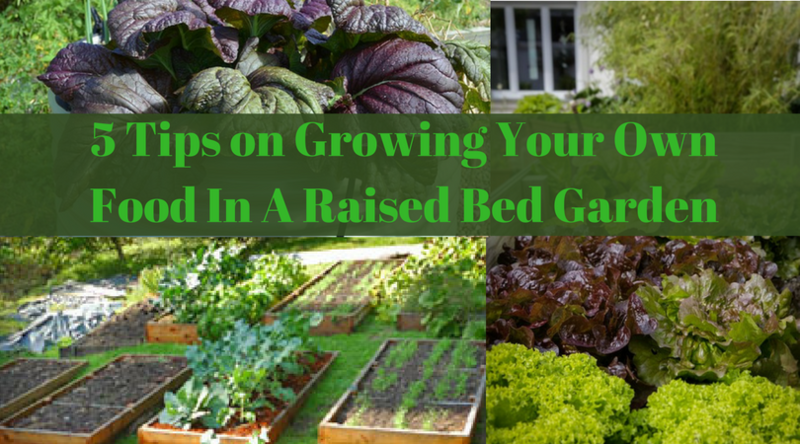 Below we have 5 tips to help you with your raised bed garden. High-quality soil will ensure high-quality crops and yield. It is important to invest a little bit of money in purchasing high-quality potting soil. Also, make sure to add organic compost and rake the surface smooth. Most plants need a good amount of sunlight throughout the day for healthy growth. Therefore, you should choose a spot in your yard that receives at least 8 hours of sunlight. This is absolutely crucial to make sure you find a spot that is adequate for your crops. Do keep in mind that low and wet areas are not ideal for plant growth. Also, make sure that you have easy access to your hose for watering your plants. In a raised garden, you’re able to plant your crops closer together because of the high quality, nutrient-rich soil. Choose the right types of plants that you’d like to eat, and also the types of plants that grow naturally in your area. When choosing your plants, consider the right time to plant them. Some plants like broccoli and lettuce can tolerate cooler weather and can be planted early. Other plants need the heat, and you may want to wait a bit before you start planting them. Make sure you have some information on the kinds of plants you want to grow so you can do your research and be clear steps to take. If you are expecting heavy rain or storms, you might want to cover your beds. A lot of rain can wash away nutrients from your bed. You can use a simple cloth to cover your beds and shelter your seeds before they are strong enough to grow. Hope this article will help you grow your own food better. To learn more about organic agriculture, please join our EAT Community for hundreds of hours of video instructions and tons of FREE information! P.S: Grow your food in an Aquaponic Vertical Garden! They are smart and attractive to be placed anywhere at home. Grow several plants at the same time without having to pay much attention! Want Fresh Vegetables? Build Your Own Vegetable Garden! If people do hugelkulture raised beds (you can still build it in a box) then you don’t have to worry about heavy rain washing away nutrients. The wood in the soil, perpetually attracts microorganisms and worms to continually feed your crops. The wood will also absorb the excess moisture, to be drawn up by your plants, over a longer period of time.